Sprint Car Steering Rod (Drag Link/Tie Rod). Aluminum. 46" To 51". Sprint Car Steering Rod (Drag Link/Tie Rod). 4130 Chromoly. 46" To 51". Sprint Car Steering Rod (Drag Link/Tie Rod). 4130 Chromoly. 46" To 51". Black. Ti22 Sprint Car S-Bend Steering Rod. 4130. 49" To 50". Plated. 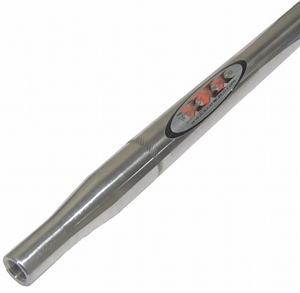 Ti22 Sprint Car S-Bend Steering Rod. 4130. 49" To 50". Black.